We recently chatted with Kathryn about the film and what receiving the NEH grant makes possible. She shared with us that a couple of years ago the Israeli director Asaf Galay asked her to help him develop a proposal to the NEH for a film about the Fleischer brothers. At the time, Kathryn didn’t know much about the brothers, but soon learned that they were a family of Jewish immigrants in New York who were early animation pioneers. 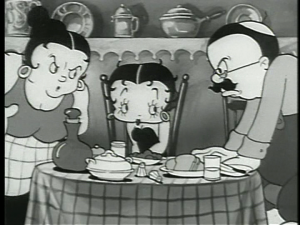 Disney was a contemporary of theirs, but he lived in the midwest and his early cartoons were wholesome and with “a kind of barnyard sensibility,” while the Fleischers’ cartoons (like Betty Boop, Popeye) were urban, rude, and very funny. The more she learned about the brothers and their groundbreaking work, the more invested Kathryn became in helping make this film come to fruition. Kathryn credited FC with making it possible to even apply for the NEH grant. As she sees it, FC possesses the expert insight necessary for filmmakers to navigate the requirements of a grantor as complex and cumbersome as the NEH. Additionally, FC’s reputation and track record of rock-solid fiscal administrative integrity favorably positions filmmakers using FC as a sponsor. “FC knows exactly what needs to be done in order to stay in compliance,” according to Kathryn. What’s more, once the award has been granted, FC’s role becomes even more important. FC’s depth of experience in making sure filmmakers adhere to the grant’s requirements and stipulations is hugely important and often times ensures that the full grant amount is eventually awarded to the project. And having been granted such a generous amount from an organization like the NEH, provides filmmakers with powerful leverage when seeking to raise additional funds for a film.